Burton Book Review Rating: 4.5 stars, Fabulous read! But the Spanish flu epidemic changes everything. Faced with her aunt's death, Arthur's indecisiveness, and four children who have no one else to care for them, Rebeka is torn between the desire to escape the type of life she's always led and the unexpected love that just might change the dream of her heart. This impressive debut novel is an inspiring and descriptive story with a heroine who manages to captivate from the start. Rebekah takes a short trip to Texas to help her ailing aunt, where immediately she is thrust into the lives of four young lovable children as the Spanish flu epidemic takes a hold of the small community. She cares for the children and becomes instantly devoted to them as she is the sole caretaker for them while their father Frank is away during World War I, known as the Great War at that time. Told in first person, we experience Rebekah’s fears and dreams, making the story more endearing and powerful as death and faith intertwine. Rebekah enjoys her life with the children for the time being, but has always told herself there were more options for her. She clings to the dream of the unknown, and shuns the everyday life she is unknowingly carved out for. When Frank finally comes home to claim his spot as head of household, Rebekah has to choose which path is best for her. Could it be impetuous Arthur, or the kindly Sheriff, who always knows when Rebekah needs a helping hand, or should she just go on back home to her parents in Oklahoma? I really enjoyed this Christian historical and the supporting cast of characters. I especially enjoyed it when I recognized the scenery, as it was set in East Texas where I live. When Audrey Cunningham's father proposes that they move to Bridal Veil Island, where he grew up, she agrees, thinking this will help keep him sober and close to God. But they arrive to find wealthy investors buying up land to build a grand resort on the secluded island—and they want the Cunninghams' acreage. Contractor Marshall Graham can't imagine why the former drinking buddy of his deceased father would beckon him to Bridal Veil Island. And when Boyd Cunningham asks him to watch over Audrey, Marshall is even more confused. He has no desire to be saddled with caring for this fiery young woman who is openly hostile toward him. But when Audrey seems to be falling for another man—one who has two little girls Audrey adores—Marshall realizes she holds more of his heart than he realized. Which man will Audrey choose? And can she hold on to her ancestral property in the face of overwhelming odds? A popular writing duo returns to historical romance with this formulaic novel focusing on faith, tragedy and hopeful triumph. After conquering alcoholism, Boyd has found God but not in time to save his ancestral home. He faces hard times while his daughter Audrey feels the burden of his mistakes during her struggle to secure her own future. Struggling with her faith in God, Audrey is forced to deal with her family's changing circumstances of both financial hardship and the loss of loved ones. Bridal Veil Island is to become a resort town, and Audrey has to help see this plan come to fruition. As host to contractors and investors, forcing a Southern welcome so soon after the Northern Aggression is hard on Audrey’s family. When Marshall Graham arrives at Bridal Veil Island, Audrey is quick to judge and oblivious to Marshall's admirable qualities. What is left for Audrey when the construction is over is up to her, but will she be able to see past her resentfulness and skepticism? Written in a slow fashion with a few twists, the reader follows along as Audrey battles obstacles and interacts with shady characters; those who don’t love Audrey’s stubbornness won’t love the novel. Audrey could come off as unreasonably righteous and stereotypical while she tried to determine what path to take, and as the main protagonist this was difficult to ignore. Aunt Thora and her shotgun was an amusing element, and I wouldn't mind hearing more of her own story. 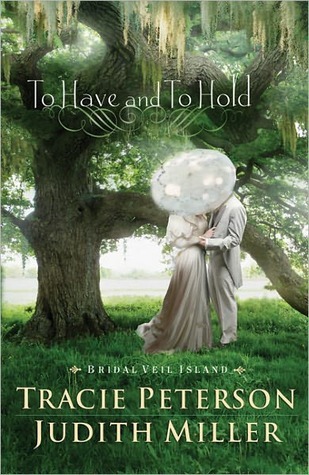 I would be interested to see what comes next in the Bridal Veil series. In the trilogy’s conclusion (following THE MATCHMAKER OF KENMARE and VENETIA KELLY’S TRAVELING SHOW), the path to true happiness does not run smoothly for Ben: lost love Venetia is now married to a brutal but popular man, and Ben finds himself entangled with an IRA gun-runner against the backdrop of their campaign along the Irish Border. The 1950s was a period in which Ireland was impoverished—financially, emotionally, and intellectually—and national survival was no sure thing. It was an era of Irish history that laid the groundwork for the nation's current outlook—and as Ben fights to recapture his halcyon days with Venetia, he must finally reconcile his violent, flawed past with his hopes for the future. Brimming with fascinating historical intrigue and legendary love, The Last Storyteller is an unforgettable novel as richly textured and inspiring as Ireland itself. There is something about the prose of Frank Delaney that makes me feel like a dunce. It flows so effortlessly, but spews intelligence with a simple phrase. Dripping with wisdom. And I hate how some authors get lauded with the overused phrases of 'lyrical prose' or something like that.. but here it is warranted again. Frank Delaney writes with passion, and his gift with words is unlike any other I have known. Granted, there are times I am wondering what the third layer is to some of his words, as it takes me awhile to catch up, but this series about Ben MacCarthy and the storytelling of Ireland has me sold on Frank Delaney (in case you hadn't noticed). "The sun came out. They kissed." "A lemon-colored light from the watery sun ran like a child across the bogland. Somewhere in that calm after the storm, Jimmy Bermingham leaned across and kissed Elma Sloane, and she made no move away." Ben MacCarthy is the traveling Irishman scouring the countryside for stories and storytellers, and his lost wife. 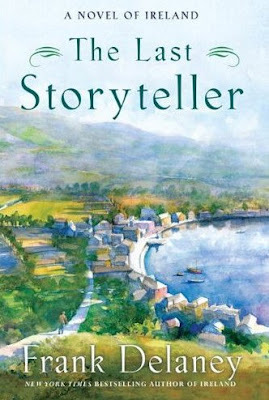 There are several books featuring Ben, one was Venetia Kelly's Traveling Show, which I hadn't read yet, and the last was The Matchmaker of Kenmare which I read and thus fell in love with Ireland and Frank (review).. and which is why I jumped at the chance to read this next installment, The Last Storyteller. There are a myriad of things going on here with stories in a myth of a story, but the magic of it all is the first person narrative of Ben MacCarthy. And since there is a bit of a plot line to the three books that ties them all together, I don't want to spoil much for you because I know you are going to go out and get all of the books as soon as you are done reading this review. (You can read more about all of his books on Frank's site.) Although I had jumped right into the series with The Matchmaker of Kenmare, I would definitely recommend reading one of the previous books before starting with this newest book The Last Storyteller. The way this narrative is put together is really Ben coining a memoir of sorts to his children and as he describes the things that are occurring around him, the reader is slowly peeling off layers of the character of Ben, and there would be a lot more appreciation of Ben if you could see what he went through during the previous novels. Ben grows throughout the novels, and this installment is the fruition of all the stories combined and how he translates the lessons learned from his treasures of folklore. After twenty-five years of being haunted by his wife's disappearance, with the cause and reaction being a slowly unfurling theme throughout all of these novels, the reader is finally gifted with a stunning masterpiece of a conclusion. One of Frank's storytellers teaches us that a story's form must have the three A's: Appetite, Authority, and Address. Give the listeners appetite for the story. Storyteller must have authority over the story in all ways. And address the listener as the listener becomes the slave to the story. (Mildly put.) Frank Delaney has captured that with his story of Ben MacCarthy, but in a much more eloquent way. Powerful, emotive, and full of Irish grit, The Last Storyteller weaves the lives of the Irish unlike any tale, as the narrator pulls us in and out of story after story as we get a sense of the land of the Irish that isn't just whimsical leprechauns and glittery rainbows. Poverty, politics, violence, love and desperation are just some of the components, with the reality of human indignities at the forefront. I've enjoyed this so much I have already bought Delaney's earlier work, simply titled Ireland. 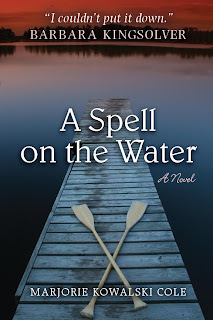 Hypnotizing storyteller Serena Miller writes such atmospheric writing that it deftly absorbs the reader into the story of the loggers and the plight of Katie Calloway. While the straight and narrow character of Katie lacks emotional development, the plot makes up for it with both tragic and endearing situations. She is taking care of her young brother and desperate to escape an abusive marriage which is a political clash of North and South in post-Civil War Georgia. Katie seizes the opportunity to run away, taking little Ned with her to parts unknown. 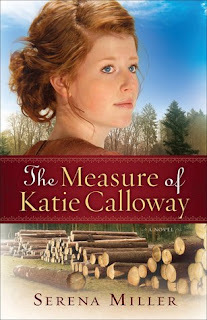 Traveling to Michigan, she meets up with Robert Foster who gives her a respectable job as a cook for the loggers whom he employs, offering a sanctuary for Katie that she has never had. The lines eventually begin to blur between the boss and cook, but the secret that Katie hides threatens everyone's security at the logger camp. Katie’s story is made more enticing with the scenery and supporting characters of the camp: a surly head cook, the many loggers at the camp, and Robert and his children. Robert battles his own demons, but can Robert save Katie from her marriage and still feel like an honest Christian? 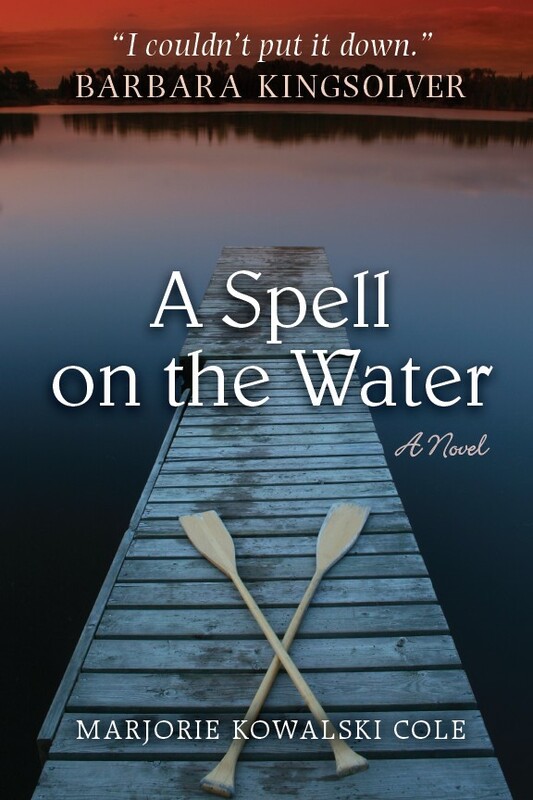 A captivating story, that will almost make you believe that you can smell the white pine forest from your bedroom. 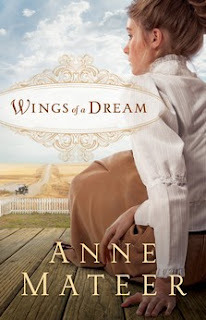 2012 RITA Finalist for Inspirational Romance! In 1955, Mary and Jim Leader have the American dream: careers in medicine; a young and healthy family; and even a vacation home---a shabby resort far from bustling Chicago. But one hot afternoon changes everything. Mary, now a widow, must find a path out of her grief into a future for herself and five small children. In Michigan to sell the resort, Mary sees seven hawks riding the storm winds over the lake. This place, she thinks, can heal them with its wild beauty, so she moves her family to the northern lakeshore. But Mary has forgotten what it's like to live in a tiny rural community, where almost everyone has a stake in maintaining the status quo. Secrets are kept at great cost as Mary's children often struggle to raise themselves. A coming-of-age story for each member of the family, this is a novel of quiet heroism and the power of personal freedom. With the strong theme of survival after loss, Marjorie Kowalski Cole dramatizes the life of a family who moves to Northern Michigan to permanently stay in their resort-style vacation home. A mother to five young children, Mary is suddenly a widow and is forced to raise her children on her own. The biggest decision of her life is to move to the rural town, raising her kids in the 1960’s to be strong, independent and without prejudice. The beautiful setting of their home in Pinestead is a character in itself, as the author portrays her love of nature’s beauty through her descriptive writing of the sounds and sights where Mary Leader’s family lives. Instead of embracing the idyllic life the small community had to offer, Mary succumbs to alcoholism and puts her family and others at risk. We watch her children grow up while in turn they watch her with trepidation, with the hope that there is a light at the end of the tunnel. With a unique writing style, the author’s prose begins to grow on you after a while. At first it felt stunted and without form, seeming like a runaway train that we couldn’t catch. The bounce from a stream of conscious rhythm back to the past tense was initially jarring but soon became natural. At times the writing mimicked a memoir rather than a novel, except the narrative also shifted point of views between mother and children. With this shift, it was hard to grasp empathy for one character alone, but the hope for the family’s survival was always there. Instead of romanticizing the family’s struggles, this is a plainspoken story of a family’s intertwining faith and grief, coupled with teenager angst and alcoholism that speaks from a hopeful heart.